Working a minimum wage retail job at 19 years old, Renee Bracey Sherman often struggled to come up with the $120 to pay for her birth control every few months. After having to postpone picking up her prescription because she couldn’t afford it — and misinformation she received about the effects of birth control — Bracey Sherman became pregnant with her first child. A young woman in a toxic relationship, Bracey Sherman knew she wasn’t ready to be a parent. That was when she decided it was the best decision for her to have an abortion. “The pregnancy made me sick and uncomfortable, and I knew I simply didn’t want to be pregnant anymore,” Bracey Sherman said. For over 10 years, 33-year-old Renee Bracey Sherman has worked as a reproductive justice activist, telling her abortion story and spreading knowledge to women about their reproductive rights. Now, as the Trump administration continues to further efforts to stop funding for female contraceptives, many women are worried about how the newest “opt-out of birth control policy” could affect their work benefits. However, one Long Island business, Magii Group of Companies, has no plans to make any changes to their health benefits. A company based on family values, Magii is a consulting firm in Hauppauge, Long Island that specializes in providing personal financial planning and group benefits for organizations. “We would not push or detract from anyone requesting it of our clients,” Jennifer Tammany, director of operations for Magii Inc., said. On Nov. 7, the Trump administration finalized a policy change that allows employers to opt out of providing no-cost birth control for female employees. The policy upholds the First Amendment right for businesses, organizations and nonprofits that have any religious objections to birth control. “If they [our clients] ask if they could, and [opting out of providing birth control] becomes possible then we would let them, but we probably wouldn’t provide guidance on that,” Tammany said. Though she doesn’t use birth control anymore for medical reasons, Nicole Pardee, a Magii employee and mother of a 9-year-old son, believes it’s a woman’s right to decide whether or not they want to use birth control. “I don’t think anyone, especially a man, should have a right to tell a woman what she should or shouldn’t be able to do with her body,” Pardee said. Pro-choice activists and companies that provide women with birth control, like Nurx, an app that delivers monthly birth control, are not shocked by this latest development from the Trump administration. 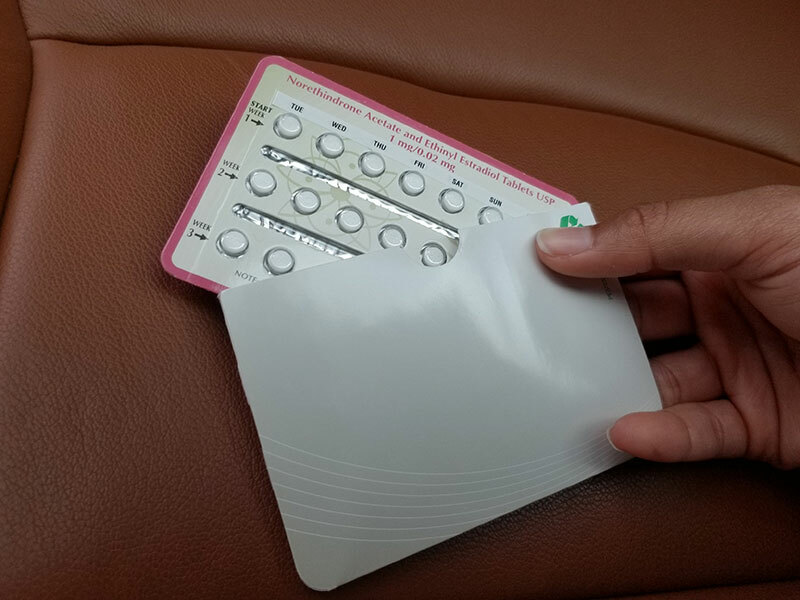 Women currently have eight hormonal contraceptive options, including the birth control pill, the birth control shot and the IUD, a small T-shaped device that is inserted into a woman’s uterus. According to a 2010 study from the Centers for Disease Control and Prevention (CDC), 28 percent of women in the United States prefer using the pill over other options. According to Planned Parenthood, the cost of the different birth control methods can range anywhere between $60 to over $1,000 a year without insurance. Without access to medical benefits for contraception from their jobs, many low-income women would not be able to afford birth control options. Because of the high cost of contraceptive measures, pro-choice activists like Bracey Sherman and Giokazta Schneider, director of education for Planned Parenthood Nassau County, believe it’s a woman’s “basic right” to be able to choose which contraceptive measure the best for them. The fear many women and activists have is that women won’t be able to make their own decisions for their health.They also worry about whether doctors could prescribe the best method of contraception based on what works best each woman’s reproductive system. There are many health benefits and risks factors to birth control, which include blood clots, heart attacks and strokes, that a doctor must weigh to decide which form is best for their patient’s reproductive health. But pro-life activists, like Regina Carbonaro, editor of Long Island Coalition for Life (LICL), a pro-life group based on Long Island, believe employers should also be given the right to express their religious beliefs. “If morally you are opposed to it [birth control], that’s a part of your First Amendment right, you should be able to follow those moral convictions,” Carbonaro said. The LICL is not entirely opposed to all forms of contraception, like condoms, they are opposed to methods they see as abortifacients, or abortion-inducing drugs. Though no gynecologist was available for comment, studies from the American Congress of Obstetricians and Gynecol (ACOG) indicate contraceptives don’t contain the abortifacients that many pro-life activists believe they do. According to Guttmacher Institute, most sexually active women use contraception regardless of religious belief. According to their findings, 68 percent of sexually active Catholic women between the ages of 15–44 are currently using highly effective methods. A fear for pro-choice activists like Bracey Sherman is that companies will use the reasoning of “religion” to opt out not for religious reasons, but simply because it’s something they don’t want to cover. “The question is, is there a sincerely-held belief, or is this simple opposition to providing health care to their employees?” Bracey Sherman said.